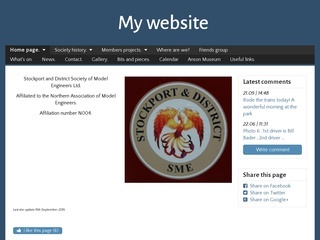 Stockport and District Society of Model Engineers Ltd. The Club was formed in 1946. The first meeting was held on 30th August 1946 at the Dyers and Bleachers Club in Tiviot Dale, Stockport.